A package of 6 x Reflexology Treatments for the price of 5. Allow 90 minutes for first appointment and 60 minutes for each subsequent treatment. Payment for package is paid in advance. Foot Soak, Exfoliate and Foot Massage using Tropic Skincare products. All you need to care for your feet at home. 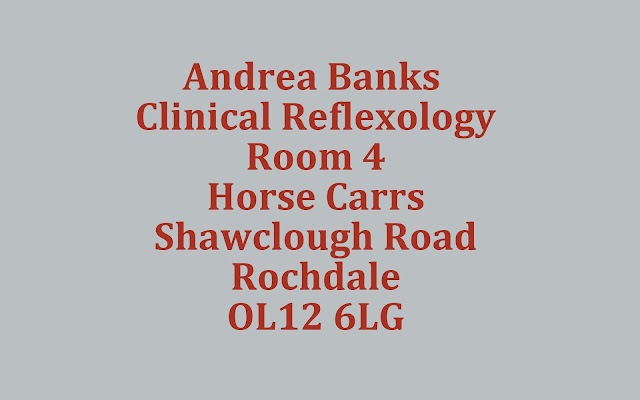 All Material © Andrea Hartley Banks of Andrea Banks Clinical Reflexology.. Powered by Blogger.